After going through another great webinar at Wealthy Affiliates, I had this great idea about helping others. The teacher was talking about blog/posts ideas and mention doing examples of Affiliate websites. Kind of like a series that walks you guys into the process of building an affiliate website. While I’m at it, I can let you in on how you can do it for free. No hosting fees or domain fees. But a chance to see it done on a no string budget, starting from scratch. If you guys really like this series, let me know in the comments and I will continue it. How many times have you heard it said, do this or do that. Put your money and watch a website come out with all the traffic galore. When deciding what to make an Affiliate website, I thought to myself, what do I like doing more than anything else? I love to read Star Wars books, I’ve been a star wars books nerd since I first found how to read. Reading about the life of Luke skywalker or the marriage of Han and Leia is an ongoing topic that I can’t put down. First off, I signed into my Wealthy affiliate account. Then I brought my mouse down to the left to hover over the blue SiteRubix Build your website button. Finally, I clicked site builder and landed on this page. Once I clicked the blue button down below called, I’m ready, build My Website Now! Creating the About me page took me a little bit more time because I wanted to make sure everyone knew who I was and what I wanted to do with the site. If you love Star Wars and have some great ideas, go ahead and leave a comment below. Check out my affiliate Site on Starwarsbook.siterubix.com to follow along with me. If you have any ideas or want to help me out, leave a comment. I want this series to be a great example of how to build a website for free. Is that all you have to do to get the website running up and down? Wow, it is so simple, beautiful and clear. I checked on your Starwarsbook siterubix com site It is hard to believe that it is that simple to make a website. How much does it cost to learn to do a website if I want to join you and make my site? thanks for your article. I never thought it could be so easy to build a website, and for free. 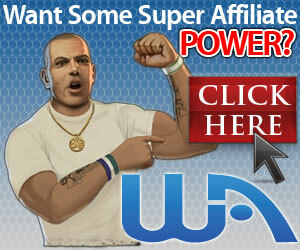 Wealthy Affiliate looks like a convenient way to do that. You can build your website with no money down and around your passion. So, I’m off to build my own! It is free and not very difficult to do. I hope, through this series that you can gain some helpful knowledge.